It was late last year, when I noticed a swelling around the pelvis of my seven year old son. His father thought it was his testes that had gone up there, and we were both worried. I took him to the hospital, and the paediatrician we saw said I should check for myself, that both his testes were in place, although, one should be bigger than the other. I told her upfront that I was not going to check, as I had been feeling this young man up for days now, and was not sure what my fingers were telling me. That I wanted her experienced fingers to do the search. Besides, my son was getting fidgety with the drop-your-pants routine. She did, and reached the conclusion that it might be a case of lymphoids, and if, after a dose of antibiotics, it did not clear, I was told to bring him back, so she could refer us to a specialist doctor. Thankfully, the swelling reduced, and there was no need to go back to the hospital or see a specialist. However, that Paediatrician said something that struck me. While she was wearing her gloves to do the physical examination, she noted that, “If you are just noticing that this boy has no testes at this age, you are not doing him any good.” I wanted to protest that I always check, but it died on my lips. I hadn’t checked if my sons’ testes were in normal position in a while. I just assumed they would be. It made me feel bad, and I check like every two weeks now, and he is even supposed to remind me, if I forget. He finds it’s embarrassing that I’m feeling him up, but I tell him to calm down and let me feel my grandchildren, or have his Dad do it. You don’t want to know how his father does the examination. Better that it is embarrassing for him now, than to be too late in catching a potentially life-altering condition. Aside from this paediatrician, some fertility doctors, some of whom we have talked to on our TFC Chats With series, have noted that we are a people who often leave matters of our health unattended for so long, until it is too late. We go on a self-medication spree, buying drugs that should only be prescribed by a doctor, when we don’t have a prescription. Taking drugs, because our friend, or colleague, who ‘seems’ to have same condition is using it, and it ‘appears’ to be working for her. It’s depressing, to say the least. But everyone’s condition and treatment plan is often not the same, and the sooner we head off to a medical practitioner, the better for us, our health, and our future. This is especially so, as self-diagnosis often leads to drug abuse and time wastage. For Hannah, who thought, she had ovulatory problems, and went ahead to place herself on the ovulation-inducing drug, Clomid, for cycle after cycle, instead of getting pregnant, she suffered from the numerous side effects of the drug, and it was not pleasant at all. Yet, she took it, and even went online to find how to use it to achieve a twin pregnancy. 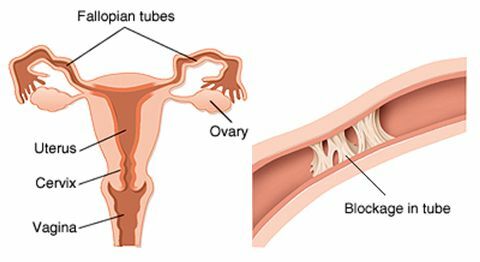 After using it for six straight cycles, and as the side effects worsened, she went to see a doctor, and there it was discovered that ovulation was not even her problem. She was ovulating just fine and needed no help in that department, but the eggs had no free passage to get to the uterus, where the sperm would meet them. So wrong choice of treatment. With both tubes blocked, Hannah was advised to give serious consideration to assisted reproduction. Upon hearing that, she exclaimed “IVF??? !” and left. The doctor who, told me her story, has been waiting for her to return, since the middle of last year. As is the case with Hannah, it can only take a miracle, as it was with the biblical character whom she is named after, for her to get pregnant, if she insists on trying naturally. While she is trying naturally, she is getting older, and her fertility, according to science, is decreasing. Both her egg quality and reserve are depleting by the month, and if she finally decides to go the assisted route, she would present more challenges, that might not have been present if she had agreed earlier. Who knows how much damage could have been salvaged, between the middle of last year and now, if she had taken steps instead taking to her heels at the mention of IVF? This challenge is referred to as Tubal factor infertility, and it is often caused by pelvic infections, such as pelvic inflammatory disease (PID), or endometriosis or scar tissue that forms after pelvic surgery. According to Dr. Iketubosin, it is hard to treat male factor infertility. Hence, if the sperm count is persistently low, after medication has been administered, then the only option left is IVF, specifically the Intracytoplasmic Sperm Injection (ICSI). Intra-cytoplasmic sperm injection (ICSI) differs from conventional In Vitro fertilisation (IVF), in that the embryologist selects a single sperm to be injected directly into an egg, instead of fertilisation taking place in a dish where many sperm are placed near an egg. This procedure can also be used, when there are other male factor issues, like poor morphology (abnormal shape) or poor motility (not moving normally). I guess at this stage, you don’t need anyone telling you that you need to bring out the big guns. My guess is, by this time, you have spent some years on the fertility journey, and the sooner you are able to get onto some treatment plan, with better prospects for you, the better. The above are some of the conditions under which IVF is not just one of the options, it is the only option available. Instead of being scared and forbidding it, it will be more productive to see it as one of the ways in which God’s promise is being fulfilled. Keep an open mind, and the opportunities become limitless. In fact, while trying, you can get your BFP naturally. It can happen, I tell you. Next articleIt’s Not About The Money…Or Is It?! I’m 39! Got married 2008 got diagnosied for fibroid after trying for 2yrs and nothing. In 2010, had HSG n one tube was blocked with high prolactin. In 2012, had the fibroid removed. In 2016 had pelvic scan and its grown. Had an HSG, both tubes are blocked. Hormal profile is normal. Thinking of IVF. Will the fibroid pose any danger for the IVF. Hi ladylorrie. It depends on its size and location. If it is too large, or located precariously in the uterus, it could make implantation harder. It could also make carrying the baby/babies to term, a challenge. But in some cases, the fibroids pose no threat at all. What’s the size now?